The State Eligibility Test Cell of Madhya Pradesh Public Service Commission (MPPSC) has announced MP SET Notification 2018 for higher education department and assistant teacher. The exam is computer-based and will conduct in 19 subjects. Individuals who are waiting eagerly for vacancies in Madhya Pradesh Government jobs then this MPPSC SET 2018 Exam announcement help for Teaching jobs aspirants. All the applicants who are interested to apply should fill the online application form of MPPSC SLET 2018 before the last date 11.11.2018. The Madhya Pradesh Public Service Commission (MPPSC) take MP SET 2018 exam for those candidates who want to make their carrier in the field of teaching. The MP SLET is an exam also known as MP State Level Eligibility Test. Madhya Pradesh Public Service Commission issued this MP SET Exam Notification for the recruitment of Assistant Professor jobs. We have explained all the details like age limit, educational qualifications, application procedure, selection criteria, etc., for MP SET 2018 Notification. Latest Update as on 11.10.2018: MPPSC MP SET Online Registration starts already. Those applicants are interested and eligible may apply for MP SET Application form till on 11.11.2018. Read full article for more latest information. Latest Update as on 26.10.2018: The last date of registration for MP SET Online Form is 11th November 2018. Those candidates are interested and eligible for MP SET Notification 2018 can fill online form either here or official site. The direct link is available at the end of the article. Latest Update as on 17.10.2018: Dear Applicants, If you want to apply online for MP SET 2018 Examination then you can apply through online mode only. Don’t wait last minute rush and fill MP SET Application Form from here through direct link. The last date of online registration is 11th November 2018. 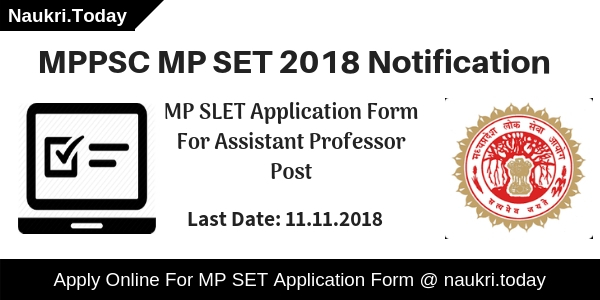 Important Date For MP SET Notification 2018 – What is the Last Date of Apply for MP SLET 2018 Online Form? Possess Master’s Degree or Equivalent with minimum 55% marks from Unversity/ Institution recognized by the University Grants Commission (UGC) in Computer Science, Earth Science, Humanities and Social Sciences etc. Post graduate degree/ Ph.D. Check MP SET Exam Notification given below for any doubts regarding Qualification requirements. The minimum age limit for candidates is 21 years and there is a maximum or upper age limit. Age relaxation is applicable up to 05 years for SC/ST category & 03 years for OBC Category candidates For MP SLET Assistant Teacher Vacancy. SC/ST/OBC/PH of Madhya Pradesh Rs. 600/-. All other categories/ Other states- Rs. 1200/-. Any other charges like registration portal charges bonned by the candidates. The application fee is pay through Debit Card/Credit Card/Net Banking/MP Online Kiosk. The MP SLET 2018 exam conducted in various 19 subjects. The list of subjecs are mention below. The State Eligibility Test Cell has set a strict selection criteria to filter the eligible candidates for higher education department and assistant teacher vacancies. 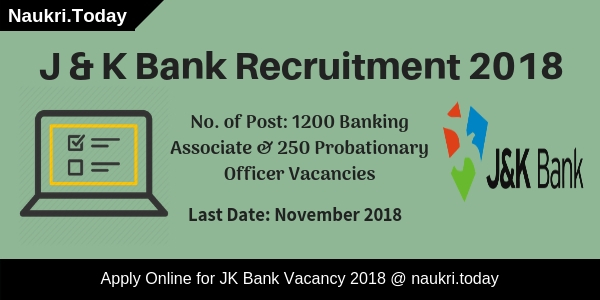 All the candidates will have to undergo the selection procedure and clear all its phases one by one and qualify to move further in the recruitment process. There are 3 papers that every candidate has to qualify one by one for MP SET 2018. In the MP SLET exam, the syllabus is designed by SLAT exam board. The MP SET syllabus is same as UGC NET exam as well as some topics also add; overall the MP SLET Exam Syllabus is easy as compared to UGC NET exam. The MP SLET exam syllabus is nearly same with MP PSC syllabus; if you want to know detail about MP SLET Syllabus please click here. Candidates can use the above link to get all the details for MP SET Exam Pattern 2018 like the marking scheme, topics division, etc. Admit Card/ call letter/ hall ticket is an entry letter issued by the conducting authority to all the eligible candidates to appear for the examination. The admit card for of Madhya Pradesh State Eligibility Test of MP will release a minimum of two weeks for the examination. Link to download the MP TET hall ticket will provide on this page as soon it is released by the authorities, Candidates should note that the commission will not be sent the admit card to any candidate by post or email and should be downloaded only. The Mp SLET 2018 exam held on December/ January 2019 after the MP SLET 2018 exam all candidates want to know their answers with official MP SLET Answer key 2018. Because with the help of MP SLET answer key 2018 all MP SLET aspirants clears that they have qualify MP SLET or Not. State Eligibility Test Cell will announce the result for each phase of MP SET 2018 sometime after its completion. The result will announce on the website of Madhya Pradesh Public Service Commission. Candidates who qualify phase 1 will subsequently move to phase 2 and so on. Candidates can get more details for MP SET 2018 result click here. All the candidates who are interested to apply for the State Eligibility Test of Madhya Pradesh will have to fill the online application form. The official notification released by State Eligibility Test Cell, controller and conducting authority of MP SET 2018 Notification clearly states that the application process is completely online. The Government of Madhya Pradesh has made it compulsory for all the applicants to possess and aadhar card to apply for MP SET 2018. check the steps given below to know how to apply and also read more details for MP SET Application form from the link above. Read the instructions carefully and use the correct buttons, provide all the information as asked without any mistake. Submit the application form and pay the application fees. Download the application form and save for future uses. Conclusion: MP SET Notification 2018, Madhya Pradesh Public Service Commission has issued an advertisement for State Eligibility Test –2018. There are Assistant Professor Vacancy on total 19 Subjects. 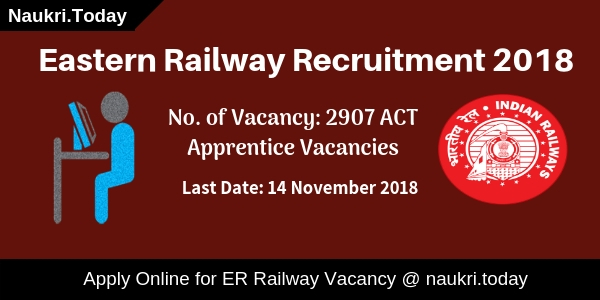 Candidates can apply in Online Mode before the last date 11.11.2018.